Google, along with NJ Transit, announced a partnership to use Google Wallet, which allows consumers to make electronic payments with assistance from near field communication technology, a short wave wireless radio frequency. NJ Transit rail and bus customers can use Google Wallet to tap and pay to travel at New York Penn Station, Newark Airport Station, and on select bus routes. The service, which relies on NFC technology, also makes it easy for brands to implement rewards programs, discounts or coupons on merchandise, as well as smart posters in waiting areas or on trains. In the future, customers could have an option to pull out their phone, point to an icon on the poster and download information about products and services. Earlier this week, Google announced support for SingleTap, a feature that enables consumers to both pay and redeem coupons through Google Offers with specific retailers without having to clip or print the discounts. The smartphone stores the Offer the consumer saves and redeems it automatically. American Eagle Outfitters, The Container Store, Foot Locker, Guess, Jamba Juice, Macy’s, OfficeMax and Toys R Us are rolling out the ability to redeem coupons and/or earn rewards points with one tap of the phone. Google Wallet also signed on new retailers, such as Chevron, D’Agostino, and Pinkberry. In a recent interview with MediaPost, Pinkberry Digital Director Pam Naumes explains how the yogurt company "embraces" new technology and social media. She said it's important to integrate both within a company's digital marketing strategy. "It's about connecting with consumers," she said. The push to use NFC in public transit can be found in a white paper published earlier this year by the NFC Forum. 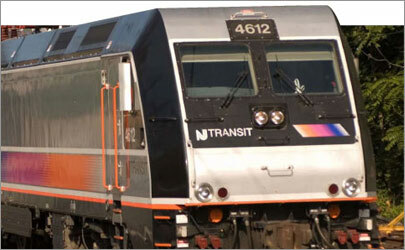 While the NJ Transit agency becomes the first to partner with Google to use Wallet, it's not the first public transit system to test or implement near field communication technology as a payment system. In 2008, San Francisco's BART system trailed NFC mobile payments with First Data and Sprint, two of Google's partners. Aside from payments, NFC supports features in Google's latest operating system called Ice Cream Sandwich, also known as Android 4.0. Google's Android Guru Andy Rubin made it clear during the announcement of Ice Cream Sandwich in Hong Kong that the company's next version of the mobile operating system would support music, photo and payment services in the cloud. Two features include peer-to-peer sharing, Android Beam, and the facial recognition technology, Face Unlock. Android Beam allows people to exchange applications, contact, music, videos and more. Face Unlock is a screen lock option introduced in the Samsung Galaxy phone, but it's not clear whether Google Wallet will integrate this technology or continue to request users to rely on a personal identifiable number each time they make a transaction. ABI Research forecasts 78% of all NFC handsets will ship with some form of embedded secure application by 2016. Craig Foster, senior analyst for the research firm, believes contactless technology like NFC has the potential to change the way consumers pay for goods. It represents a near-perfect fit for transit and vending industries because transactions are less than $25. NFC technology also could become the keyless entry system to homes, similar to the way it supports keyless entry in cars. Soon, "don't leave home without it" will become the marketing slogan for the phone rather than plastic card.